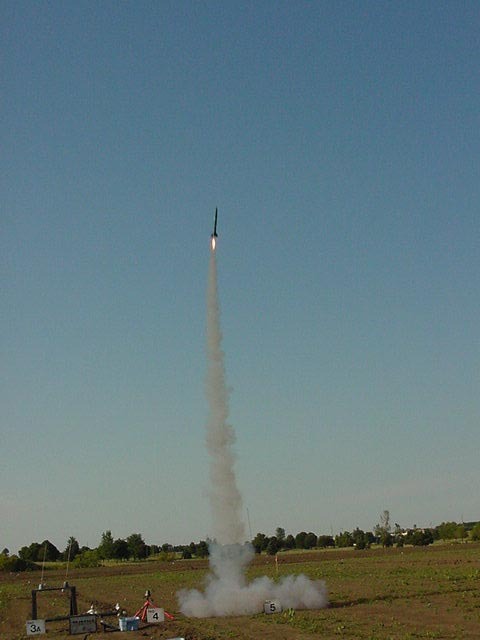 Will Carney's Shadow takes off on an E11-4. 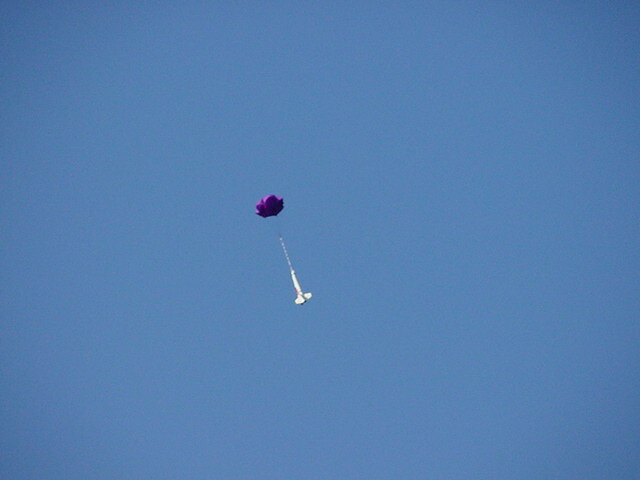 It went up very nicely, but there was a problem with the ejection and it pranged. 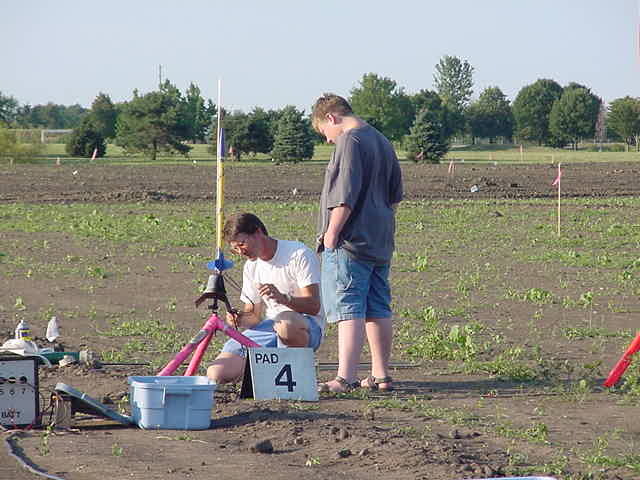 Hopefully it will fly again. 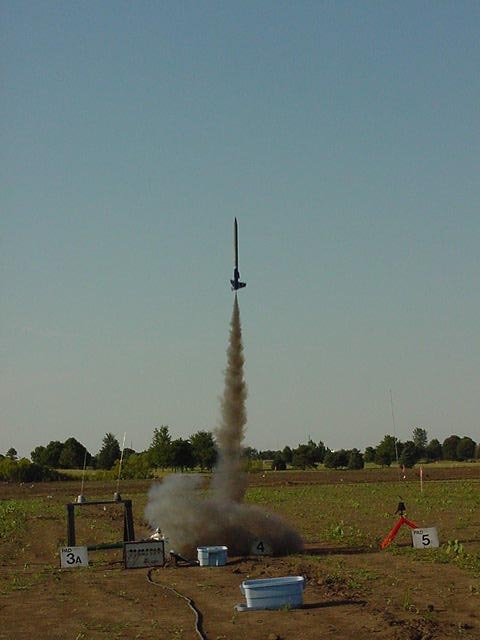 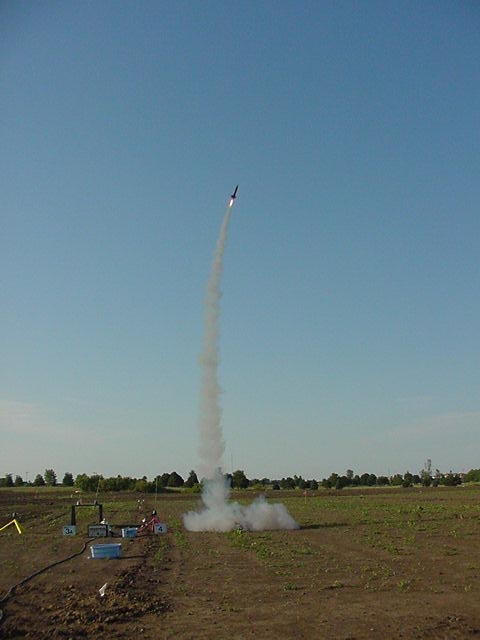 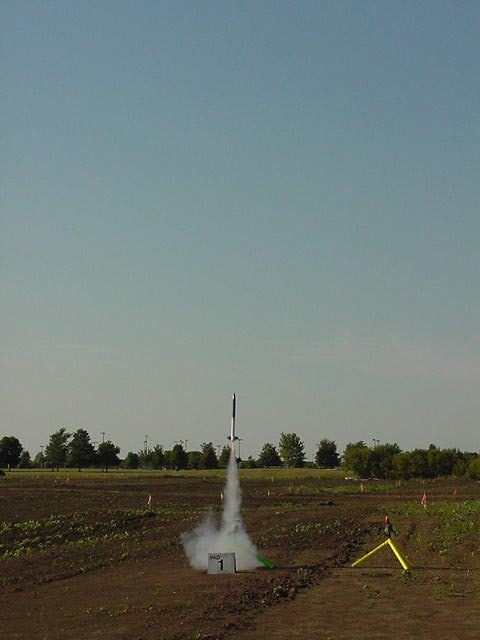 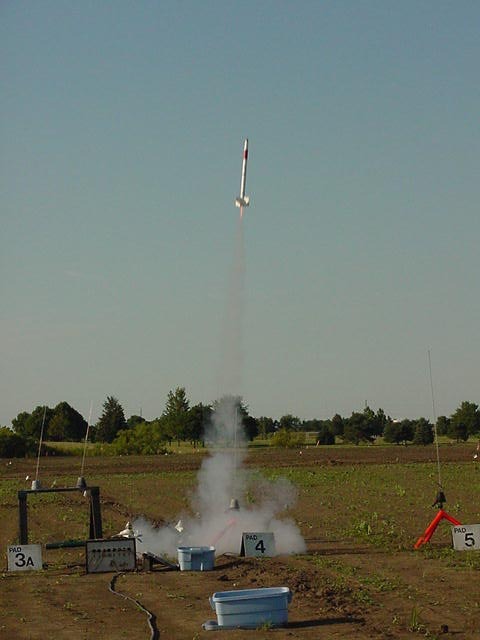 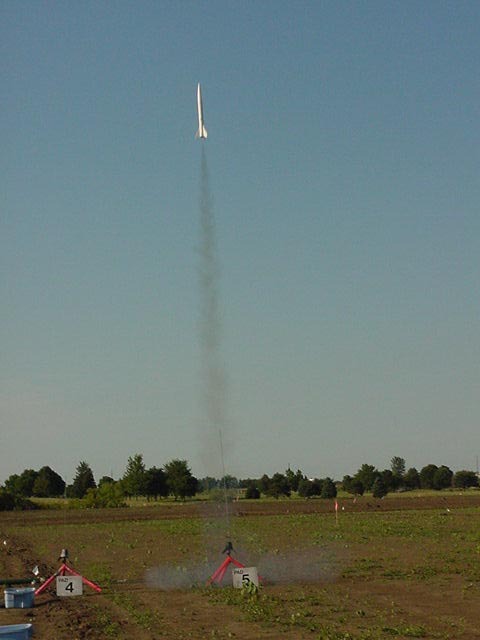 If you recognise your rocket send me a message at jsivier@uiuc.edu and let me know what rocket it was, what the motor was and any details about the flight you want to mention.